Power Flash has the ability to manage multiple reward systems for your customers. Points may be awarded whenever a customer orders, based on the size of the order or the number of times the customer orders. The number of points awarded can vary by type of the order (Call Center or On-Line, or Delivery or Takeout). They can also vary be restaurant. Rewards can be redeemed on-line for any number of prizes that you create inside Power Flash. They can also be redeemed (if you want) for Gift Cards inside Power Flash. You can setup reward programs for your Pharm Reps as well. Power Flash has an extensive security system built in. Access to every individual function in the system can be controlled, both on an individual or group level. You can define as many different security groups as you want (CSR, Manager, Owner, Salesperson, etc.) and limit access to any function by the group. Every employee may be assigned to one or more groups. Power Flash has a very advanced promotion system built in. You can create an unlimited number of coupons, and can be very specific about how those coupons can be used. You can limit the number of times that a coupon can be used in any period of time, limit it to Call Center or On-Line orders, limit it to Takeout or Delivery, limit it to certain restaurants, and even limit it to certain items in a restaurant. Coupons can be used to give away flat or percentage discounts, free deliveries, gift cards, or even a list of items to choose from! Coupons can be automatically applied to orders, or they can be setup to require the customer to have a coupon code. 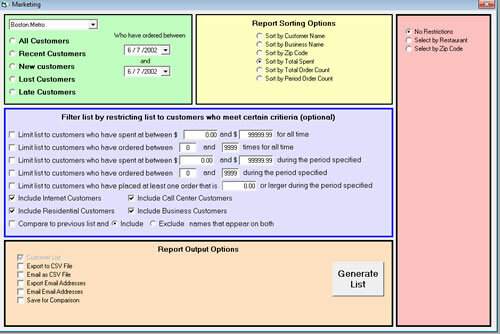 Most importantly, Power Flash has a ten-level priority system built in that allows you great flexibility when determining what (if any) coupons can be used together on the same order. Power Flash tracks all of your funds from the time the order is taken until the cash hits your bank account, leaving no penny is left unaccounted for. Until the driver checks out, the system will keep track of exactly how much the driver has collected, regardless of how long between the time the delivery was made and the driver checks out. When the driver does checkout, the system records the exact amount of cash, checks, and credit cards the driver has collected. If you pay your drivers in cash when they checkout, the system records that as well. After the driver checks out, the cash is placed into a cash drawer, where it will remain until it is deposited into your bank account or otherwise removed. This system allows you to keep accurate track of all of your monies. It is important to track all of your customer contacts. Power Flash will record every time that you talk to a customer after he orders, along with the reason for the contact. The system will separate complaints by cause and result, allowing you to pinpoint problems in your operation. This tracking also allows you to give your customers a future credit, as well as charge or credit the restaurant or driver depending on whose fault it was. Whenever the customer orders again, the CSR will have all information about prior problems encountered by that customer at their fingertips. Processing and tracking your orders is just part of what Power Flash can do. It also tracks your customer database. The data mining capabilities of the system are endless. You can identify new customers, lost customers, good customers, and more. Customers can be tracked by order frequency, location, restaurant preference, and spending habits. Current reports can be compared with older reports to analyze trends, helping you find not only those customers who stopped orders, but those who have simply slowed down. The data mining results can be exported to Excel, or emailed to your mailing house. The dispatch screen is the heart of the Power Flash system. It is from here where orders are faxed to restaurants, driver assignments are recorded, and orders are dispatched. A single dispatcher can easily dispatch dozens of drivers and hundreds of orders seamlessly and efficiently with our system. Every active order is listed and color-coded to denote its current status. All pertinent information for each order is listed on the order line, and the dispatcher can view any order simply by double clicking on it. The order can be faxed, assigned to a driver, and have its status updated with the click of a single button. The Power Flash System keeps track of every order that your drivers deliver, including exactly how much money they should collect. The system keeps track of this information until the driver checks out, whether that is the same night or days or even weeks later. The Driver Checkout screen lets you make payment adjustments to each order in those cases where a customer has added a tip or changed the payment method at the door. The Checkout screen is also used to record driver adjustments and reimbursements. After the driver checks out, a Checkout Report can be printed or emailed to the driver. Power Flash has a complete driver management system built in. It will track information on all of your drivers, including basic address information as well as keep track of DMV reporting dates, insurance policies and their expiration dates, and the drivers' vehicle information. During the driver’s shift, the system tracks the mileage the driver has accumulated, how many orders he or she has delivered, and the driver’s current location and status. The system will then use this information to suggest the nearest available driver to assign to the next order. Power Flash has a complete Gift Card management system built in. You can sell Gift Cards to your customers the same way as most other large retailers. Power Flash will generate the Gift Card ID numbers, and they can be loaded and re-loaded either in the call center or on-line directly by the customer. Hotels are a great source of business for you, and Power Flash can help. The system will maintain a list of all hotels in your area, allowing for quick and easy order entry when a hotel guest places an order. For those guests staying in the hotel and ordering on-line, the process is even simpler. Here is where your CSR's enter telephone orders, or edit any order in the system. Pharm Rep orders are generally large, advance orders that can contribute greatly to your bottom line. These orders are usually very time-sensitive and must be afforded special attention. Power Flash helps you manage your Pharm Reps with ease and efficiency. Unlike other systems, Power Flash tracks both the Pharm Reps and the Medical Facilities separately. Paying your restaurants is one of the most arduous and time-consuming tasks an RDS owner must perform on a weekly or bi-weekly basis. However, Power Flash can make this chore fast and painless. You can set the system to pay your restaurants weekly, bi-weekly, monthly, or semi-monthly, and this period can vary from restaurant to restaurant. You can even end your pay period on different days of the week for each restaurant. Power Flash carefully tracks every order to ensure that it is paid timely and accurately. It also ensures that you never pay for an order twice. The Power Flash system has a powerful coupon-based promotion management system built in. Complete tracking is maintained for all discounts, coupons, and promotions. Coupons can be setup to limit their usage by date, quantity, restaurants ordered from, and type of order. The system will allow you to prioritize promotions based on up to 10 different levels, allowing you to offer multiple promotions while preventing customers from using multiple promotions on a single order (unless you want to allow it). Promotions can be set to give a flat or percentage discount, free items, free deliveries, or even reward points. 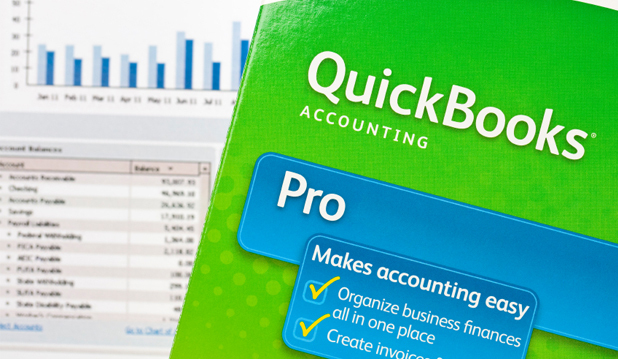 In order to simplify your accounting, Power Flash can integrate with QuickBooks Pro (version 2005 and higher). Entries for restaurant checks, daily sales, driver checkouts, and corporate receivables can all be automatically sent to QuickBooks with the click of a button. Hours of data entry can be reduced to seconds! The Power Flash System can support multiple reward programs. Reward programs can be designed to award points to customers when they order. The number of points can be based on order quantities or order size, and multiple points can be awarded from selected restaurants or order type (Telephone or On-Line). You can setup an unlimited number of prizes that can be redeemed either through the call center or on-line. The Power Flash System has an extensive security system built in. Access to every function and report in the system can be controlled on both a group level and by individual employees. Many services experience peak demand during certain hours (lunchtime!) and have a need to ensure that order deliveries are spread out as evenly as possible during these peak periods. The system will allow you to limit the number of orders scheduled to be delivered during each 15 minute period in each region. This will allow you to better schedule your drivers and manage your payroll, while still ensuring excellent customer service. The Power Flash System can directly integrate with several Web Portals to allow you to quickly and easily receive orders from these portals. When you accept orders from one of our portal partners, all of your restaurant and menu data is automatically synchronized with the portals whenever you make any changes. Every order you receive from the portals is automatically inserted into your system without any labor on your part.